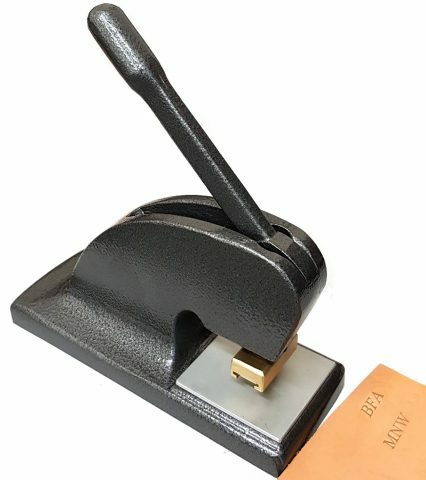 The Bolsons stamp is designed for personalising leather products, such as belts, key fobs and bridle straps, with up to five letters or numbers. 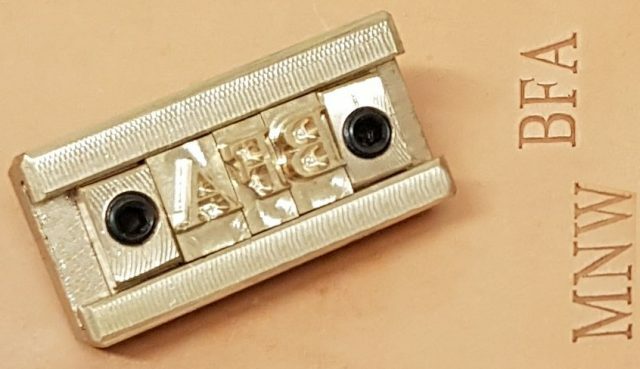 The fully interchangeable characters are engraved in brass and are 6mm high. Full 26 character alphabet, 0-9 number, individual characters as well as well as full names or phrases. We also have the larger version which will deboss multiple lines of characters. 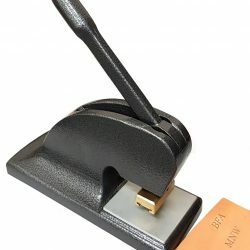 The Leather Stamp is strong and durable and capable of debossing leather clearly and effortlessly. Standard fonts available are Times Roman, Arial and Script font. Please contact us with you requirements.